National Whistleblower Day – Finally! The House of Representatives is in recess. The Senate is finishing up debate on a cyber security bill and everyone is racing to leave Washington D.C. for the August recess. 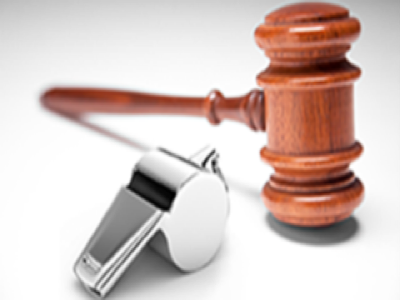 But some long overdue recognition was finally forthcoming today – passage of Senate Resolution 236, A Resolution Designating July 30, 2015 as National Whistleblower Appreciation Day. I was on hand for the ceremonies today. Speeches by Senators Grassley and Wyden, the co-chairs of the Senate Whistleblower Caucus (itself a newcomer to Washington politics). Senators Ron Johnson and Tammy Baldwin, other elected officials, two FBI whistleblowers and others also made remarks. Everyone was gathered to support the enormous contribution made by whistleblowers… contribution to our economy, health and safety and to good government. While many whistleblowers receive huge awards for stepping forward, some face retaliation for simply having the courage of their convictions and standing up against fraud. It’s finally becoming cool to be a corporate whistleblower. Men and women have been stepping up for hundreds of years, however, and today is the day to celebrate the contributions of everyone who has stepped forward. Hopefully there will be a celebration each year in Washington on this date. The public needs to hear the stories and so much more needs to be done to fight greed, waste and fraud. As I write this post, the FBI claims that Medicare and Medicaid fraud costs Americans $80 billion per year. Insurance fraud in New Jersey costs every single family $1300 per year. What is the solution? The best weapon in the Justice Department’s arsenal is a whistleblower…. a billing clerk, quality control manager, mortgage underwriter or accountant. It takes just one person to be a hero and make a huge difference. We honor our clients today. Many of their stories are now public but for others, their cases are sealed. Public or not, all are heroes. 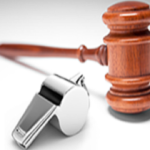 Interested in becoming a whistleblower? One generally needs inside information about fraud involving government funds or programs, substantial unreported taxes or fraud that impacts a federally insured bank. Is that person you? Give us a call.